Ingredients: Carbonated water, cane sugar, lime juice from concentrate (6.3%), bitters brew (2.4%) (water, cane sugar, tropical spices, gentian root, yeast), lemon juice from concentrate (0.8%), acid (citric acid), antioxidant (ascorbic acid, flavour, colours (purple sweet potato, lycopene), preservatives (211, 220). 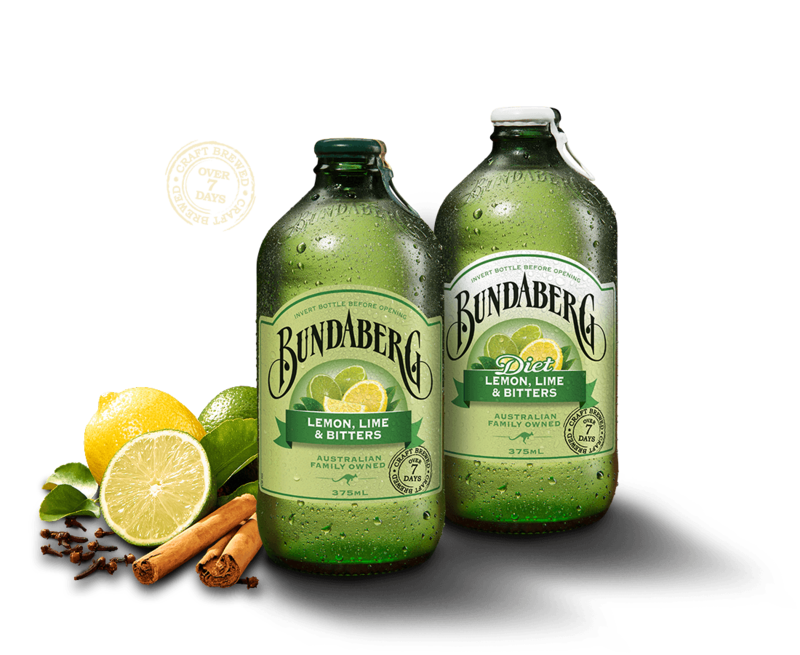 Ingredients: Carbonated water, lime juice from concentrate (5%), bitters brew (2.4%) (water, cane sugar, tropical spices, gentian root, yeast), lemon juice from concentrate (0.8%), sweeteners (951, 950, 955), antioxidant (ascorbic acid), flavour, colours (purple sweet potato, lycopene), preservatives (211, 220). Contains Phenylalanine.